Grew Up… hard. Ennis’ parents, both ranchers, died when he was a boy. Left with almost nothing, his older brother and sister did their best to raise him. After his sister got married, Ennis and his brother found work as roughnecks. Living… on the open range. Now that Ennis’ brother is married, there’s little room for Ennis and he has to find his living on his own. He’s come to Signal, Wyoming, to look for sheep-herding work, hoping to save up enough money for a place of his own. Interests… hunting and fishing, and enjoying a drink when he’s off work. Ennis likes bars, but not so much for social reasons; he’s often the loner at a table making a collection of empty beer bottles. Which suits him just fine. Relationship Status… confusing. He’s in a relationship with Alma, whom he intends to settle down with when he can afford a house. But when he discovers an attraction for Jack Twist, Ennis becomes worried that this desire will complicate his life – one which he wants to keep simple and honest. Ennis is a reserved man in the best of times, though, and fighting forbidden urges makes him withdraw further. His feelings for Jack, which Alma would never understand, make Ennis even more distant from her. Challenge… navigating between his passion for Jack and what he sees as the necessities of life. Wife, work, children – these are the things that Ennis wants to be true to. But his feelings for Jack, and Jack’s feelings for him, are bound to complicate them. Working through childhood trauma and issues of anger and frustration, Ennis’ challenge is to discover that love is life’s greatest necessity. Personality… quiet and brooding. Ennis doesn’t say a whole lot. He does his best to bury his emotions and passions. But eventually, bottling everything up can lead to an explosion. Ennis Del Mar's popularity ranking on CharacTour is #511 out of 5,000+ characters. See our top-ranked characters and read their profiles. 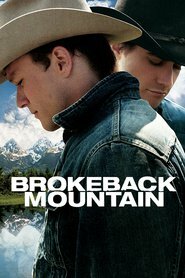 Brokeback Mountain is an Ang Lee film about two modern day cowboys who meet on a shepherding job in the summer of ?63. The two share a raw and powerful summer together that turns into a life long relationship conflicting with the lives they are supposed to live.